Maruti Vitara Brezza Petrol Launch in April 2017? A report from an automotive magazine in India has confirmed that Maruti Vitara Brezza Petrol will be launched in April 2017. Suzuki first showcased the petrol version of Vitara Brezza in Indonesia. 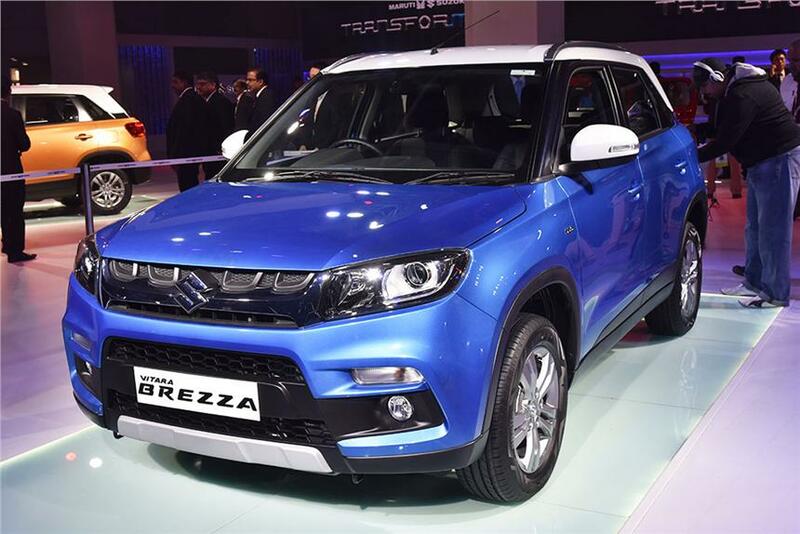 Maruti Vitara Brezza is currently available in India market in only 1.3 litre Diesel engine version. As reported in the beginning of the article the Vitara Brezz Petrol will be launched in the month of April 2017. Currently Maruti Suzuki is working on setting up Gujarat plant. The waiting period for popular Maruti Baleno and Vitara Brezza model shall reduce once Gujarat plant is fully functional. The 1.5-litre petrol engine offered with upcoming Vitara Brezza is expected to deliver power output figures of 110 bhp. Maruti Suzuki might also launch the performance oriented 1.0-litre BoosterJet engine on Vitara Brezza. The engine is expected to be mated with six-speed manual transmission gearbox. 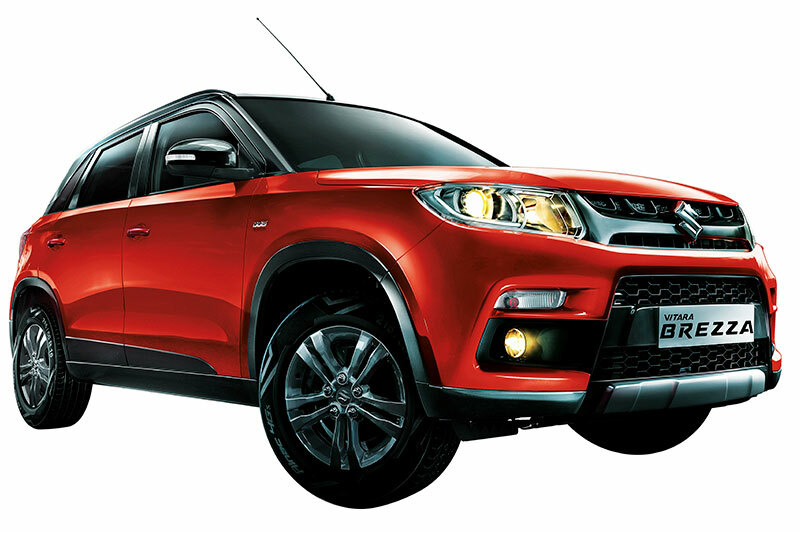 Vitara Brezza is going to be powered by 1.5-litre petrol engine that is expected to offer good fuel efficiency. Maruti Vitara Brezza’s 1.0-litre BoosterJet engine shall offer good performance when launched. The BoosterJet engine is expected to be present in upcoming Baleno RS which is going to be launched in India soon. Vitara Brezza Mileage figures are not known yet – expect around 18 Kmpl mileage. The petrol version of Maruti Vitara Brezza is expected to come in 6 different color options: Blazing Red, Pearl Arctic White, Premium Silver, Granite Grey, Fiery Yellow and Cerulean Blue. 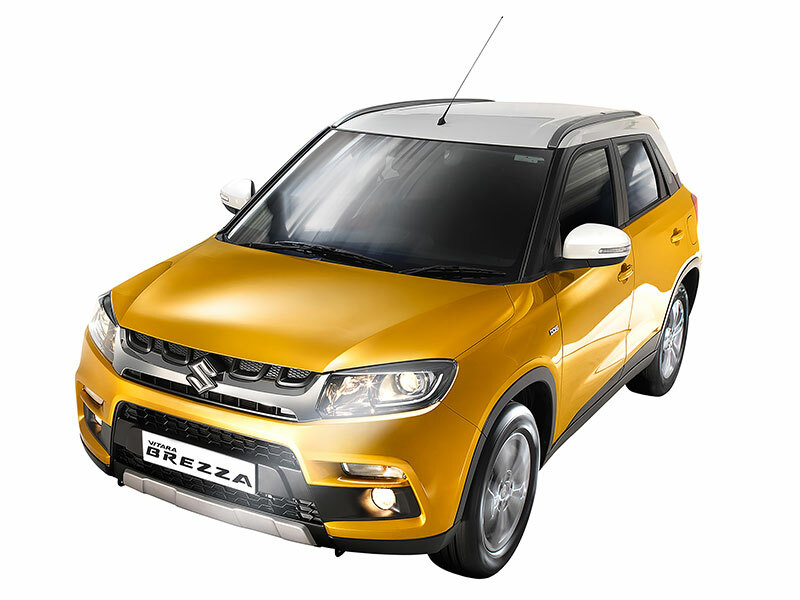 Check all Vitara Brezza Colors that are available in diesel version. Expect dual tone color options in the top ZXi+ variant. When it comes to competition, which other cars in this segment are affected because of Vitara Brezza Petrol launch? Let us find out. There is one big competitor for Vitara Brezza Petrol which is the Ford Ecosport which is offered in petrol variant. Also, in coming few coming months, the petrol version of Mahindra TUV300 ( Check TUV colors and variants ) is expected to hit the market which adds up to the competition for Vitara Brezza. Various market research companies have predicted people in India are showing more inclination towards petrol cars than the diesel. Vitara Brezza Petrol is expected to sell like hot cakes in these conditions. Please subscribe to our Youtube channel and follow us on Facebook to get updates from auto industry.